Canada Day is a big deal in our house. We invite people into our home and celebrate the anniversary of our country’s confederation. This year was a bit of an exception. The rain, thunder, wind and frequent downpours may have dampened the day and our party but not our spirit! We started the day with matching tattoos and our favourite family activity, swimming. Our pool offered free public swimming, lifeguard games (think of reindeer games) and a family swim to end the afternoon. Despite the weather our community’s recreation committee had free family friendly activities, games and crafts prepped for all the proud little Canadians in our town. Several times during our swim the thunder rumbled and we had to exit the pool for safety reasons. That was when the mini-me’s began to hear their own tummies rumbling! AndiePandie wanted something with chocolate and bananas, white Beckett wanted puffy chicken. I like to let the kids be as creative as possible in the kitchen however, I have no idea what we needed to create puffy chicken. When are arrived home and were slightly hangry we quickly figured out what his favorite ingredients were and started creating some puffy chicken. 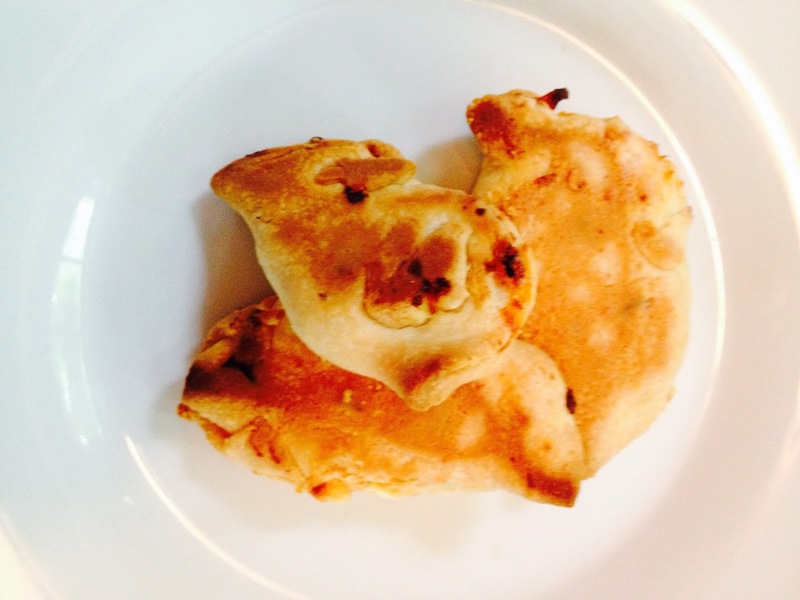 Beckett’s Puffy Chicken is a modified Chicken Empanada recipe. If I called this dish Chicken Empanada there is no way he would eat it. Beckett loves chicken, cheese and colourful peppers. Last month on a Beavers camping trip he discovered he also really enjoys pastry crust cooked over a campfire. There was no campfire today due to the rain, so we improvised. 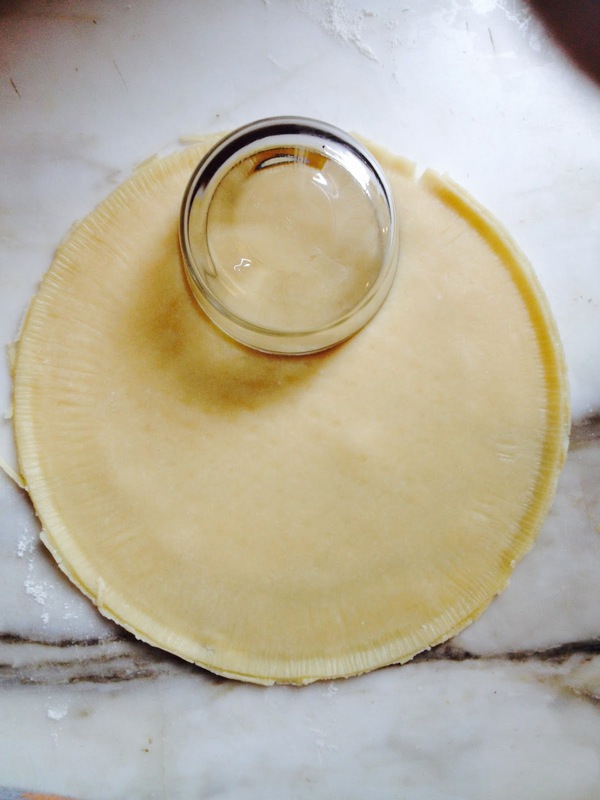 We started by thawing our two Tenderflake pie shells and creating medium circles with a small glass container as a mold. Tenderflake pie shell thawed and removed from the tin foil. With two pie shells I was able to make 10 circles for empanadas. Glass container I used to create the circles for empanadas. Andie placed a heaping tablespoon of the chicken and cheese mixture, folded the circles into semi-circles and pinched the edges to close the them. 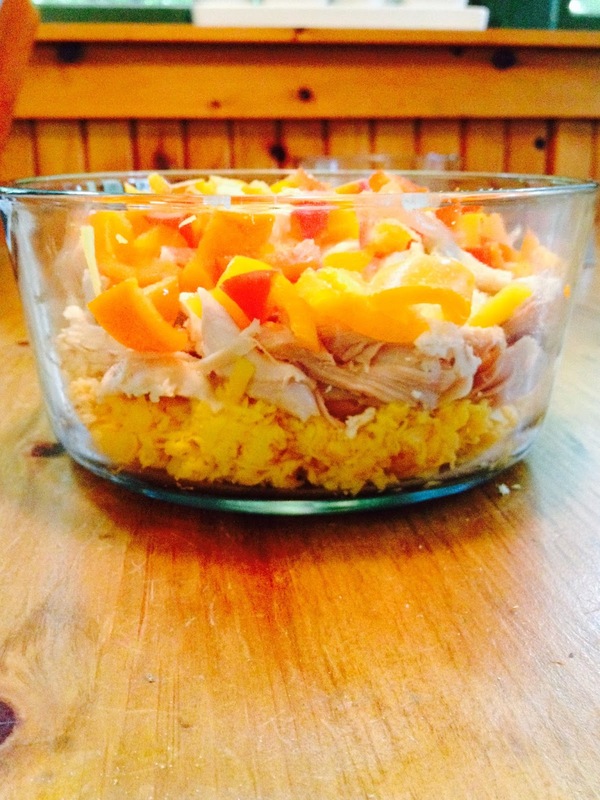 Shredded cheese, cream cheese, cut chicken breast, colourful peppers, garlic powder for the filling. We baked the empanadas at 400 degrees for for 15 minutes, then turned them over and baked for another 10 minutes. The pastry was light and crispy while the filling was baked to cheesy chicken perfection. Since hearing about the new Minion movie, Andie Pandie has been a little obsessed with bananas. 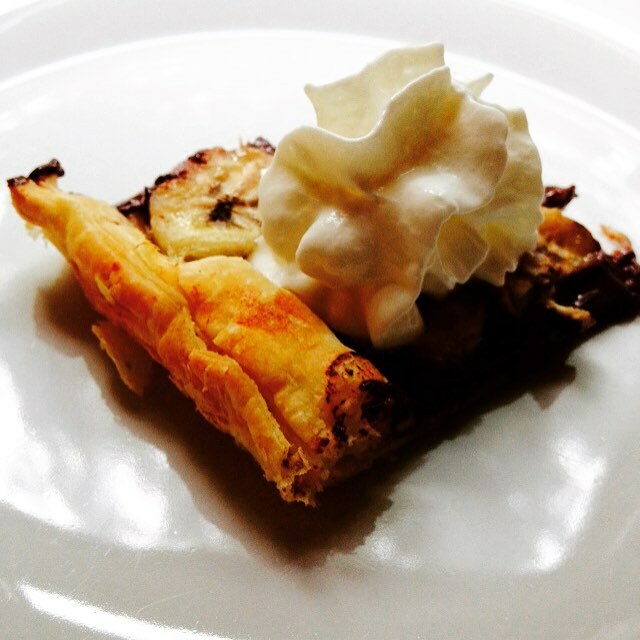 She is my little baker and wanted to create something with Tenderflake puff pastry. We decided to be creative with what we could find in the house, Andie was happy as long as banana was the main ingredient. 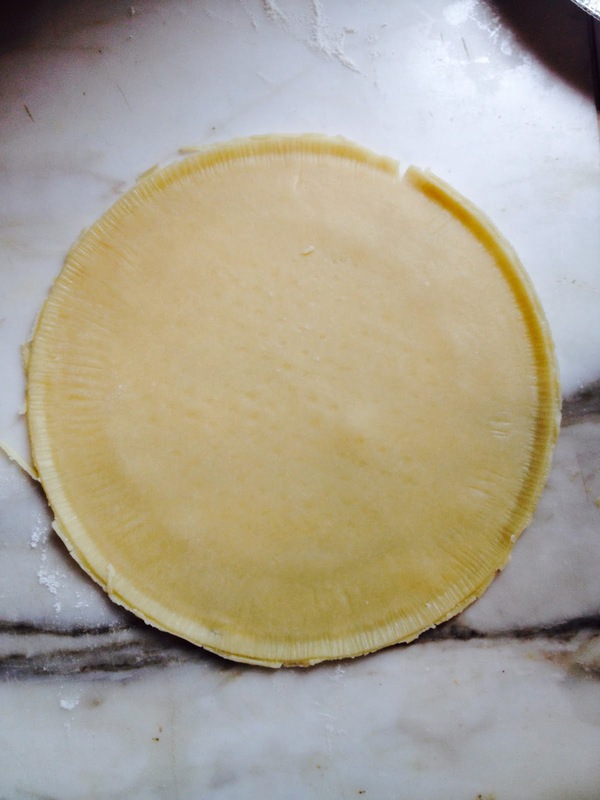 We rolled out one of the thawed squares of puff pastry on our marble countertop. We pre-baked the puff pastry for 15 minutes at 400 degrees. 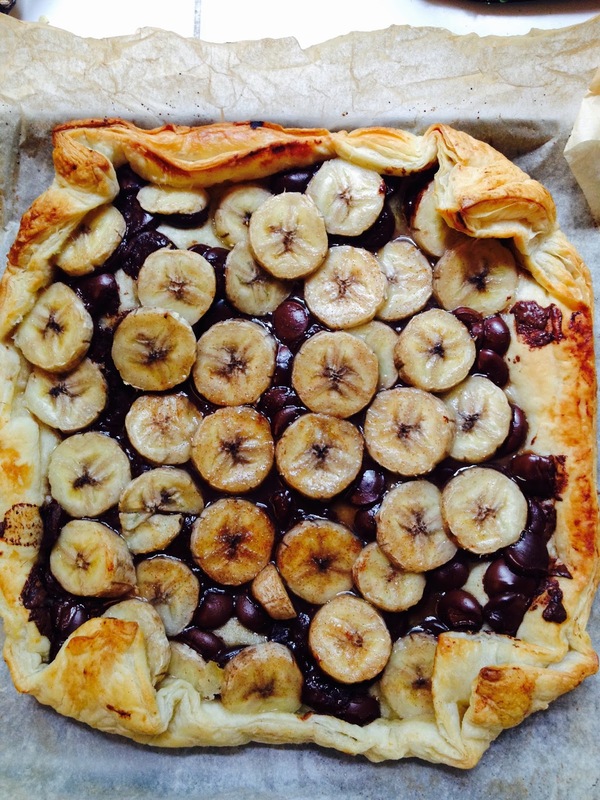 Andie spread out the chocolate chips and bananas evenly on the base of the pastry. 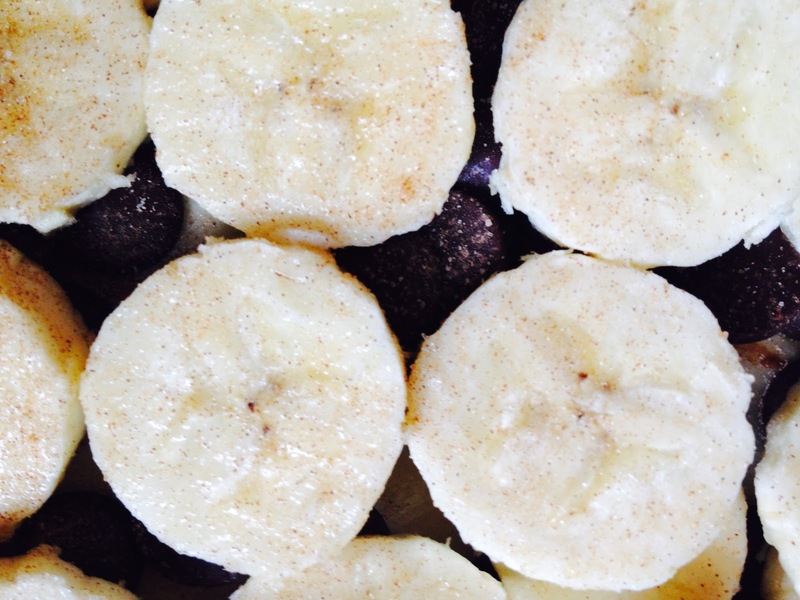 She then sprinkled cinnamon sugar and nutmeg over the bananas and folded the pastry at the corners. 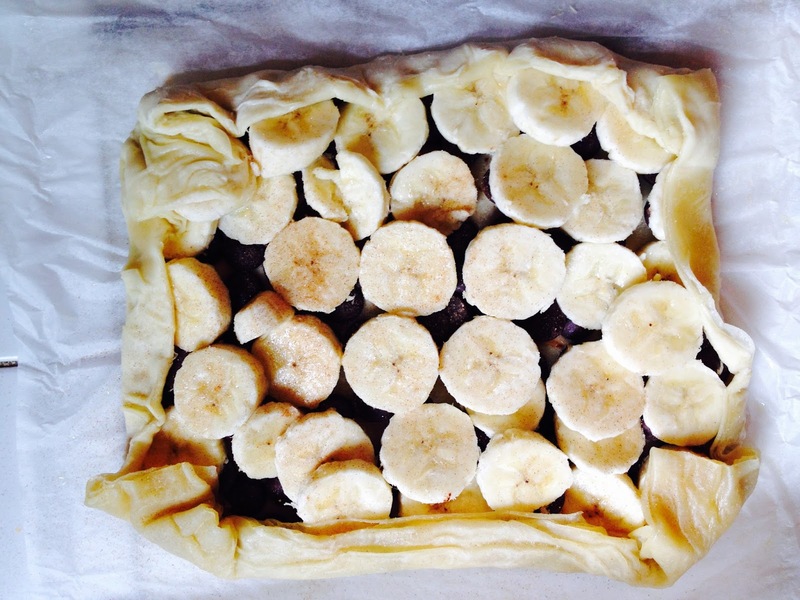 This is the pastry before baking with the corners and ends slightly pinched. After picture! Lining the puff pastry with parchment paper was helpful when placing & removing the gooey goodness from the oven. We put the pastry back in the oven for 10 more minutes to melt the chocolate. The pastry edges turned golden brown and tasted like butter. Andie felt it would be better with whip cream as a garnish, of course she was right. In order to help you have some fun in the kitchen with Tenderflake products, I am giving away 5 product coupons to one of my readers. Please let me know in the comments below what you would create with Tenderflake. The winner will be emailed on Friday, July 10th 2015. You can enter everyday and for an extra entry follow me on Pinterest, then back and leave a comment with your Pinterest page so I can follow you back! Good Luck & Happy Canada Day!